Authentic Enid Collins purses either have her initials on them somewhere, either ‘ec’ or ‘c’ or her full signature. Some were dated and some had the name of the decorating theme on them as well. The ones with full signatures and the ec or c initials date to before the 1970’s. 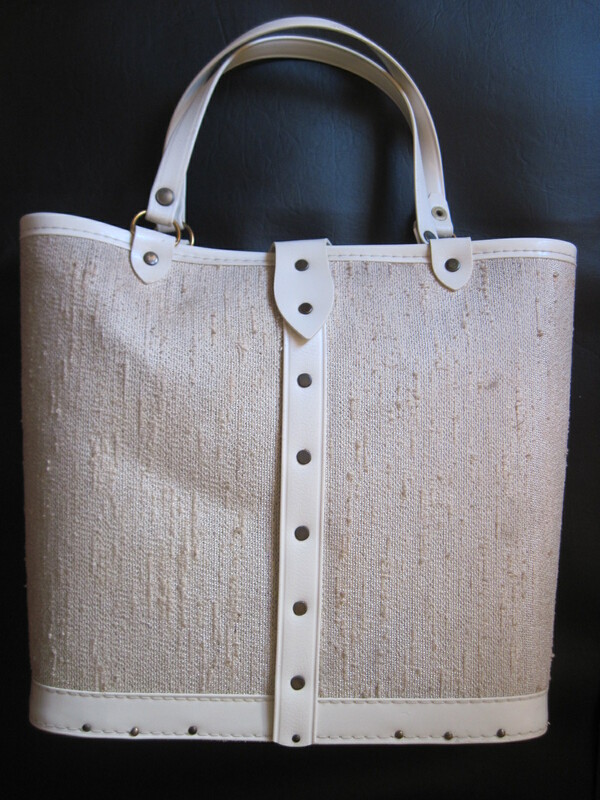 In 1970, the Tandy Leather Corp. purchased Collins of Texas and continued to produce Collins-type handbags. After 1970 the bags are marked with a ‘C’ or ‘Collins of Texas’. 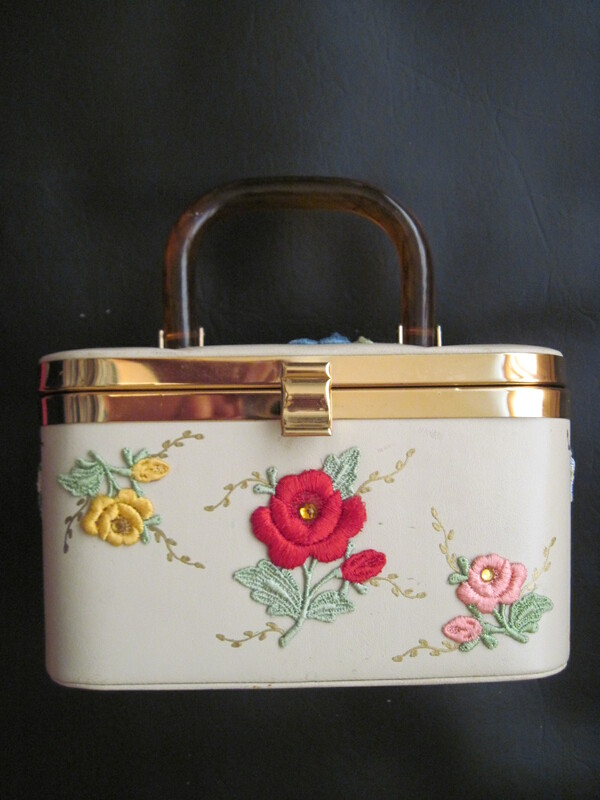 In the late 60’s, Collins manufactured do-it-yourself kits called Sophistikit. 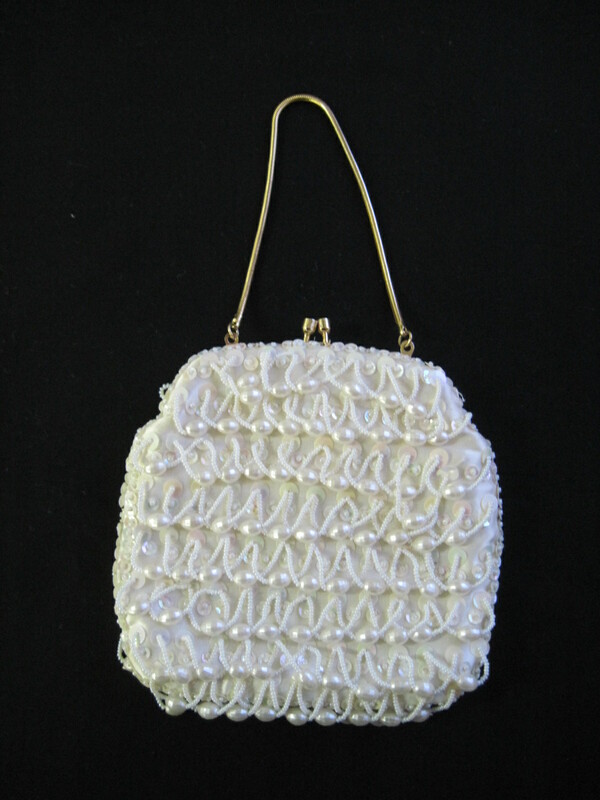 These bags are not quite as authentic as the original Enid Collins bags with the signature, but, if you like the style, that won’t be a huge issue. I believe this would have been one of those bags that started life as a kit. The bottom of the purse is wood. 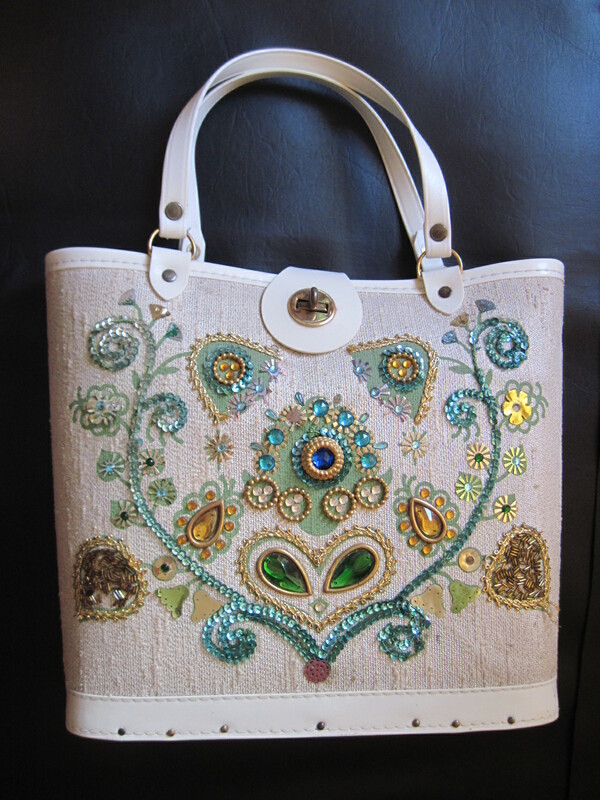 Enid Collins began the company in Texax in 1959 where she procuded wooden box and canvas bucket styles of purses. Most had brass fasteners and findings, mirrors, paint, faux jewels, rhinestones, sequins and more. 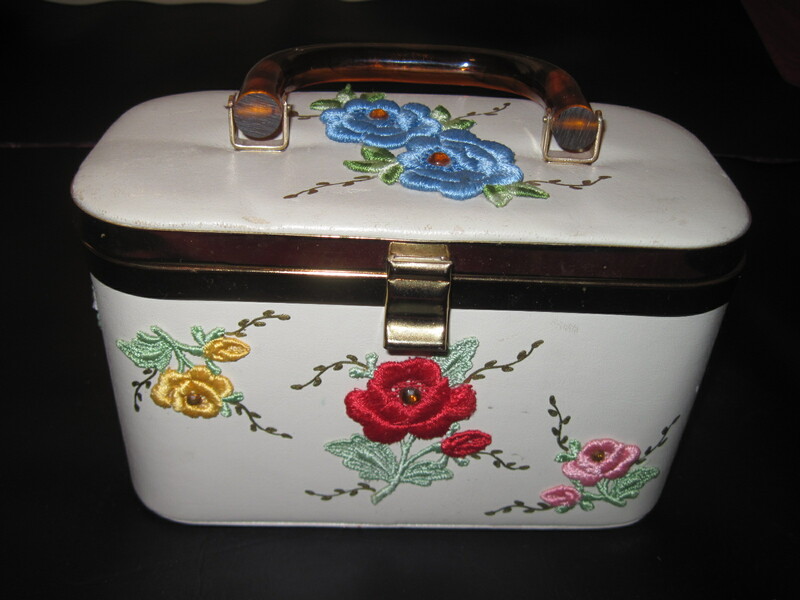 The handles and trims were made of leather and the designs on the purses were always glitzy with lots of bling. 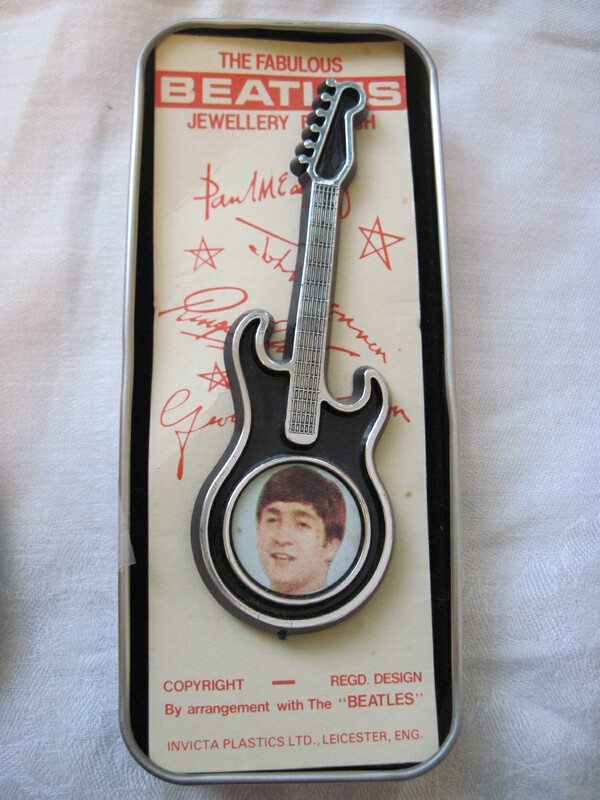 Collectors usually prefer the original ones made before Tandy Leather took over the company. 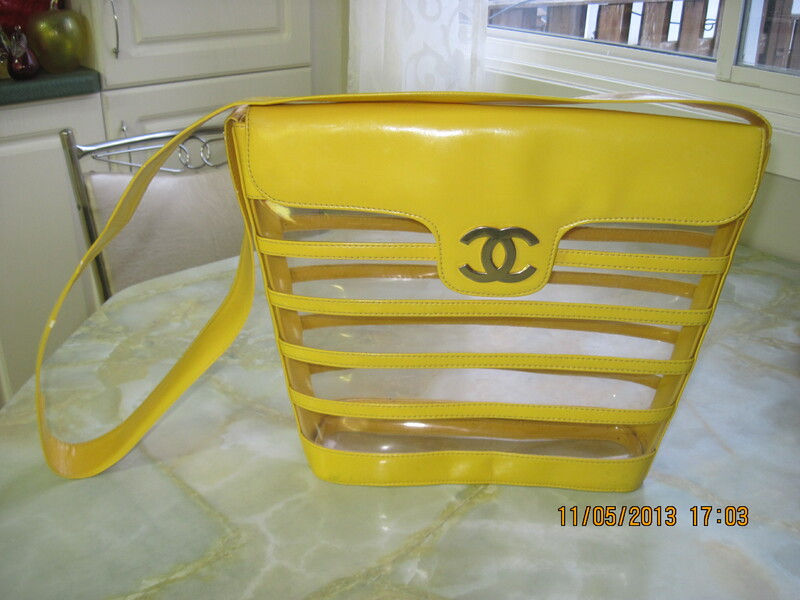 Also, the purses made from kits are not as desirable as the originals and the price would reflect that. The ones made from kits do not have a designer signature on them. priced at $45 and will be available in my booth at the A lmonte Antique Market, 26 MIll Street, Almonte ON. 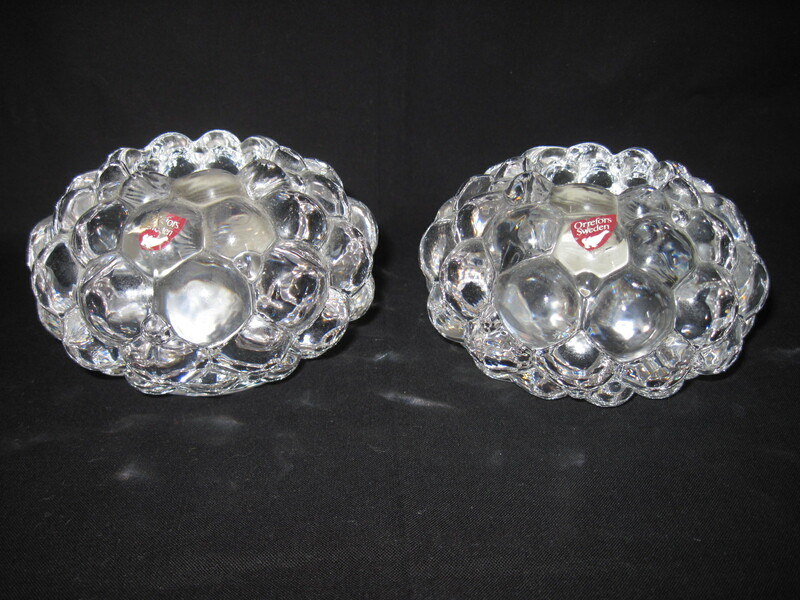 These are heavy crystal candle holders made by Orrefors, Sweden. The pattern is called Raspberry because of the bubble like surface. Orrefors has been in business since 1898. According to the Orrefors website: The popular Raspberry series was created in the beginning of the nineties and has become one of the great Orrefors classics. The rounded lobes of the raspberry give the crystal a soft, graceful feel. These still have their original stickers on them. Priced at $ $25 for the pair.